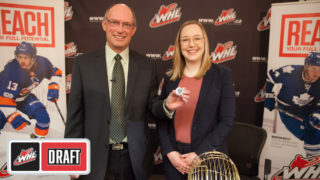 Vancouver Giants General Manager Barclay Parneta announced today that the Giants have signed 2003-born goaltender Drew Sim (Tees, AB) to a Standard WHL Player Agreement. 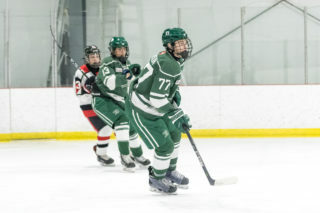 Sim checks in a 6’2” and 190 pounds and was selected by the G-Men in the third round (46th overall) in the 2018 WHL Bantam Draft. 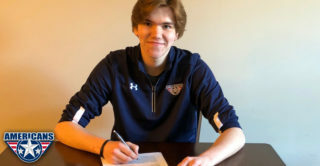 In 16 regular season appearances with OHA Edmonton Bantam Prep, Sim compiled a record of 13-0-1 with a 2.05 goals-against-average, a .916 save percentage and three shutouts. 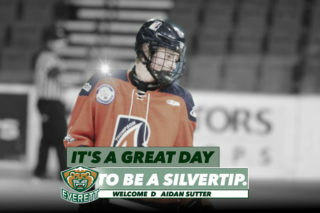 He followed up with a 4-0 record in the playoffs with a 1.00 goals-against-average, a .966 save percentage and one shutout en route to a league championship victory. Sim also backstopped Team Central to a 2018 Alberta Cup victory with a 3-0 record, a 0.67 goals-against-average, a .970 save percentage and two shutouts. 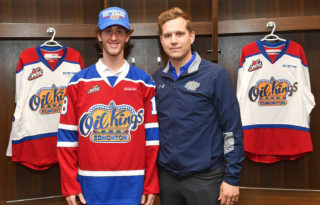 Sim was the second goaltender selected in the 2018 WHL Bantam Draft and the second of the Giants 10 draftees from 2018 to sign with the team. Drew Sim along with his father Ted (Left), mother Stacey (middle) and sister Avery (right). He’s the second draftee from the Giants 2018 Draft Class to sign with the team. 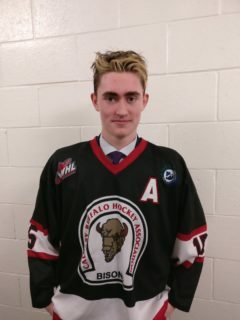 As an under-ager, Sim is eligible to suit up in five games with the Giants during the 2018-19 season until his Midget season comes to an end.